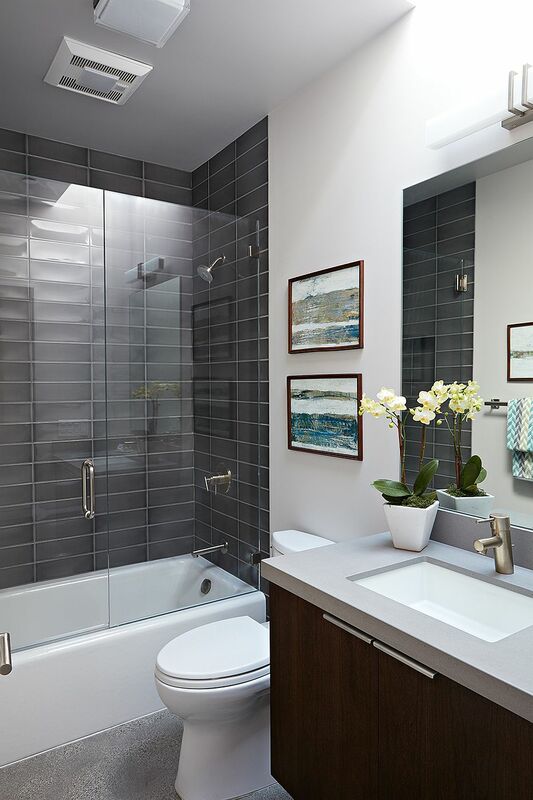 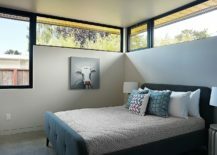 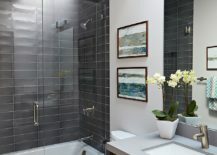 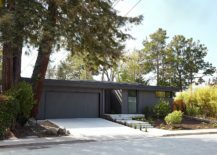 The classic Eichler homes are incredibly popular across the globe, with both architects and homeowners constantly drawing inspiration from their uncomplicated and unique roof design and overall form. 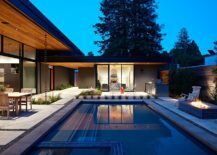 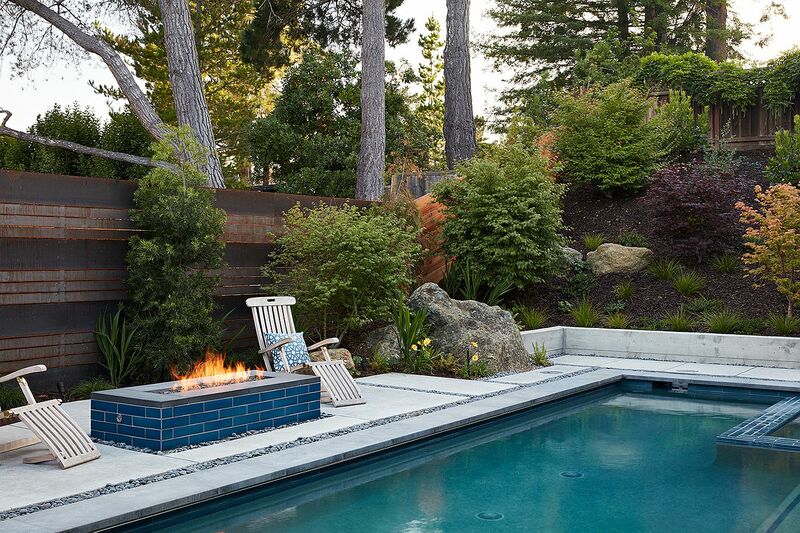 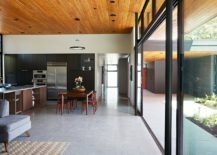 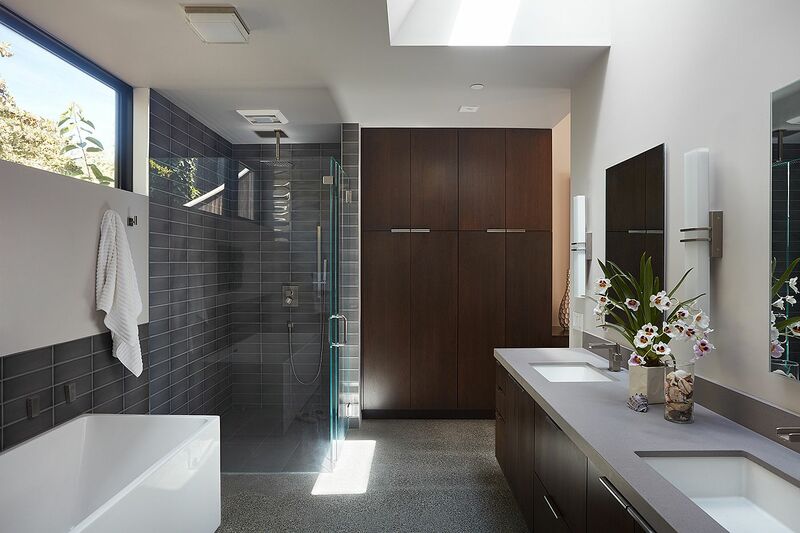 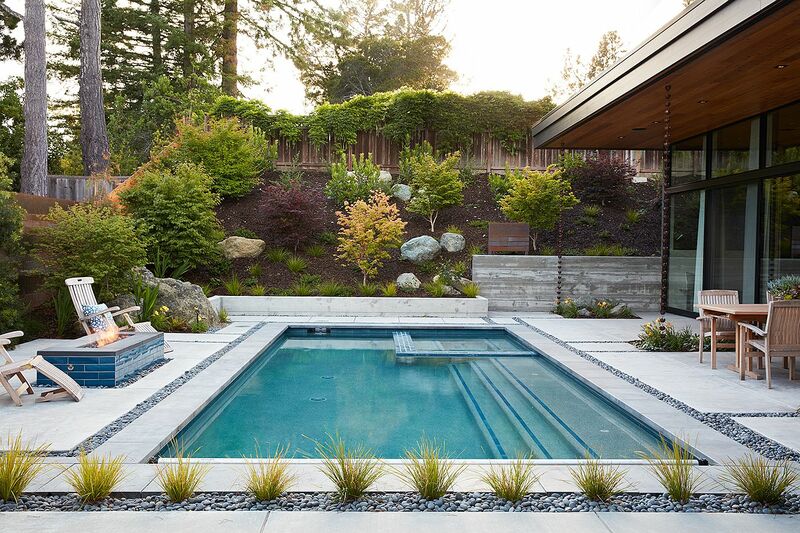 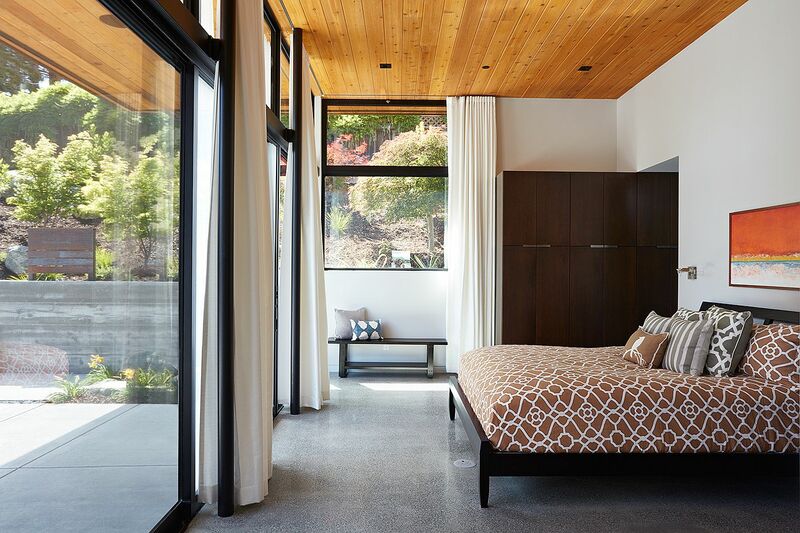 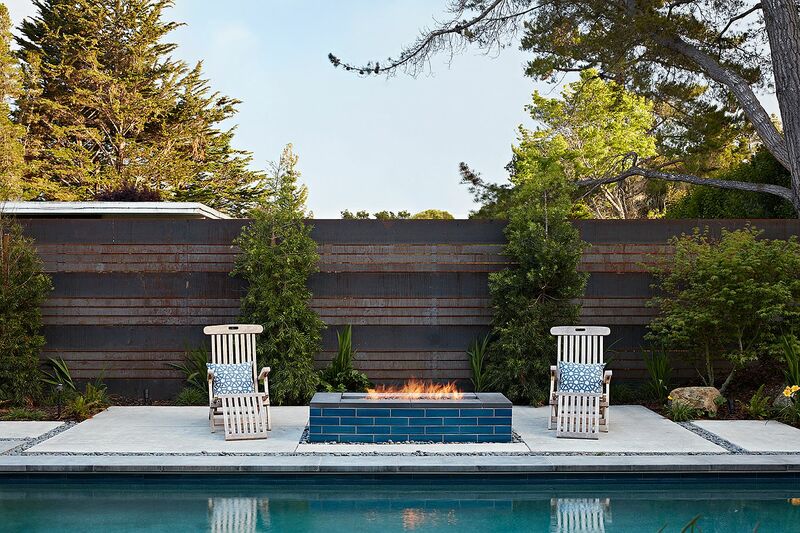 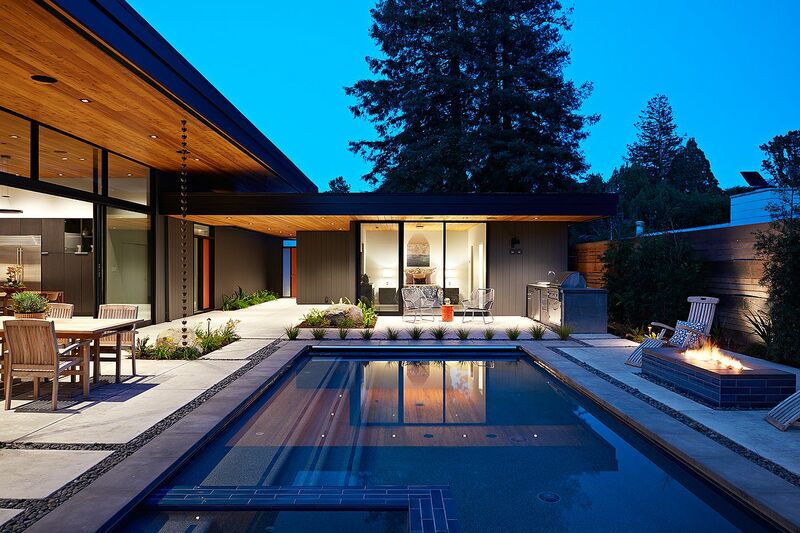 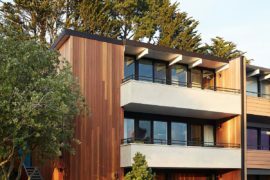 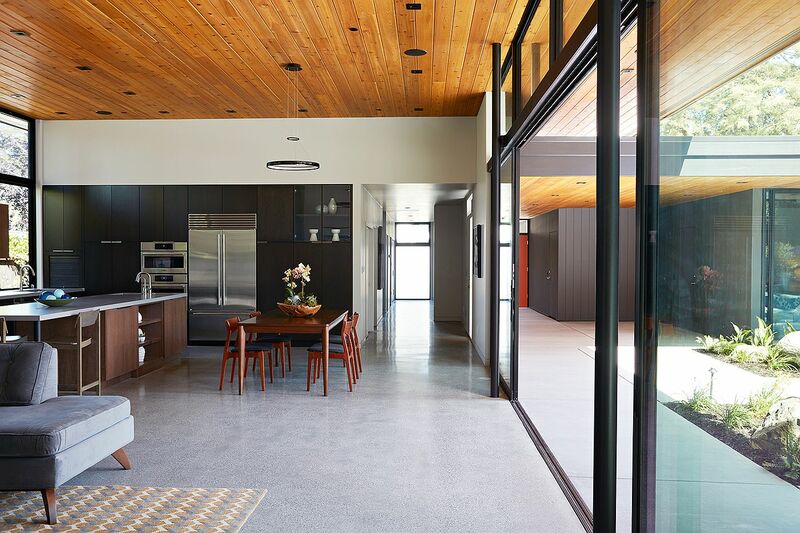 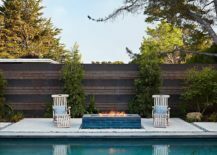 In recent times we have seen many Eichler homes in California acquire a new lease of life with renovations, extensions and additions that carefully transform them to meet the demands of a modern lifestyle. 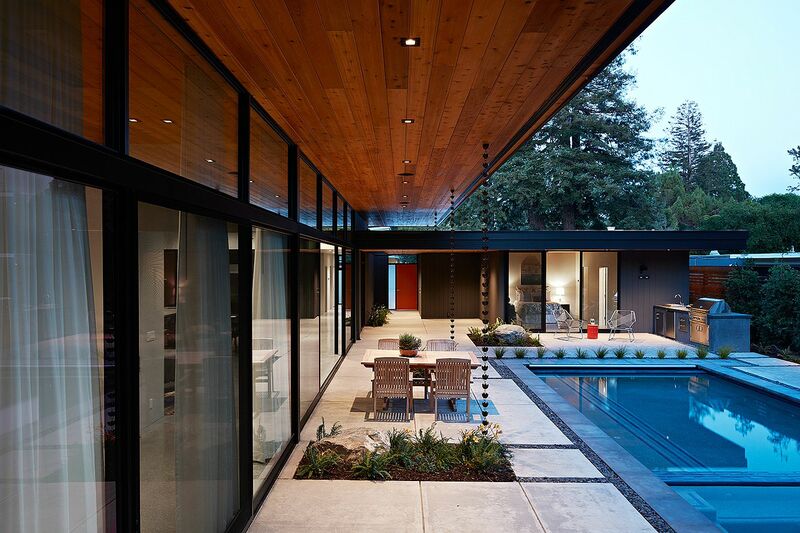 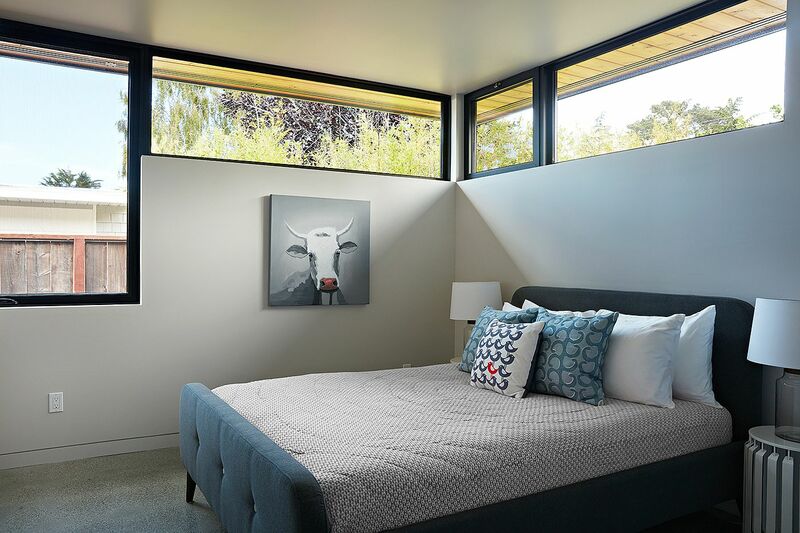 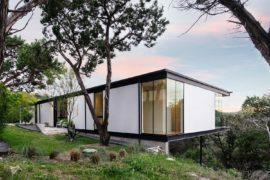 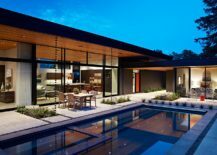 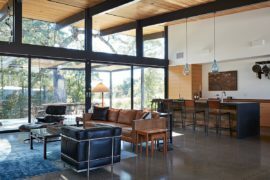 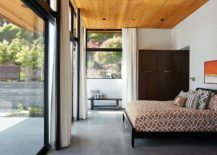 But the Glass Wall House designed by Klopf Architecture takes an entirely different approach that was defined by the condition of the existing, burned Eichler home and the demands of the new homeowner. 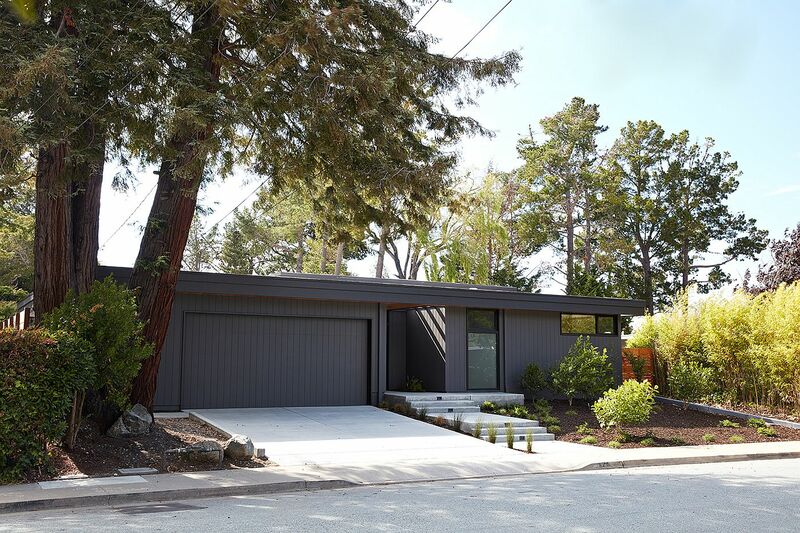 Since no part of the previous Eichler home on the lot could be used, the architects planned for a brand new residence that drew inspiration from the form of the design of Joseph Eichler. 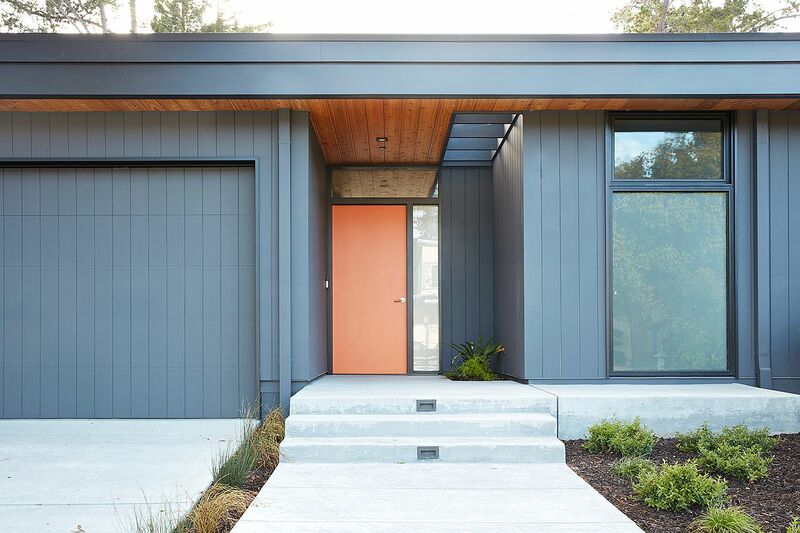 With a gray exterior and a bright orange door, the home looks just like a beautiful Eichler residence to those who quickly drive past it. 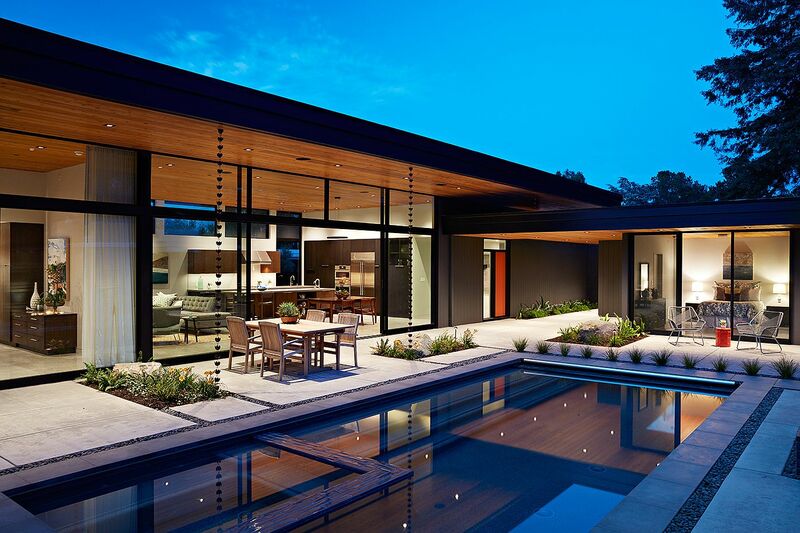 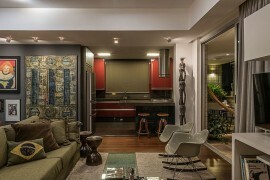 This smart approach to design allows the Glass Wall House to blend in with the neighborhood while offering something unique and exceptional! 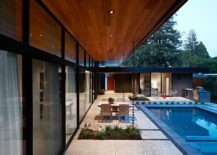 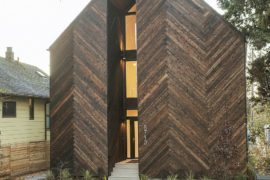 Adding to this illusion are the overhanging flat roof eaves and the interior that is kept simple and minimal.